CHARLOTTESVILLE, VA August 1st, 2018 Caretaker® Medical, innovator of the Caretaker® 4 wireless CNIBP Vital signs monitor for Continuous Non-Invasive Blood Pressure (CNIBP) and vital signs monitoring announces compatibility with Philips IntelliVue Patient Monitors using the Philips IntelliBridge EC10 and/or the Philips EC40/EC80 and/or the Philips VueLink Module M1032A. The Caretaker® 4 CNIBP and vital signs monitor is FDA and CE compliant, used for patient vital signs monitoring measuring ICU Quality Continuous Beat-by-Beat Blood Pressure, Heart Rate, SP02 and core body temperature. The Caretaker® 4’s ability to measure Continuous Blood Pressure and vital signs using a single finger cuff helps to streamline clinician workflow improving patient comfort and safety. The IntelliVue range of patient monitors are designed to match the pace and unique needs of adult, paediatric, and neonatal intensive care; anaesthesia, peri-operative and cardiac care environments. 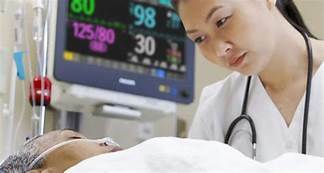 The monitors are easy to use, operate on a networked platform that can span the hospital enterprise, and can be configured to suit patient acuity, department protocols, or specific procedure requirements. “The Caretaker®4 linked to the Philips IntelliVue monitors provides a wearable solution with non-invasive benefits for patients and clinical staff. Caretaker®4 ‘s ability to provide continuous data collection provides a new paradigm in patient safety”. said Warren Kressinger-Dunn Managing Director EMEA APAC Regions. Caretaker® Medical is based in Charlottesville, Virginia USA. 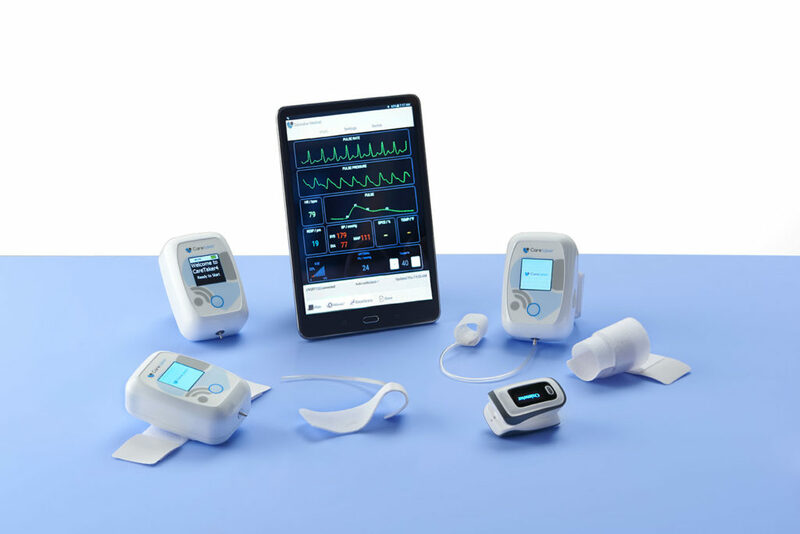 A wireless medical device company focused on developing affordable, innovative, wireless patient monitoring solutions that improve outcomes, increase clinician productivity, and maximize patient compliance without compromising patient comfort. The wearable Caretaker® 4 monitor enables uninterrupted wire-free and electrode-free real-time vital signs monitoring throughout the full continuum of care, from clinic and hospital, to patient transport, and home monitoring after discharge. Using only a comfortable, low-pressure finger cuff, Caretakers® patented Pulse Decomposition Analysis technology non-invasively measures continuous Beat-by-Beat blood pressure as accurately as an invasive arterial catheter, and measures Heart Rate as accurately as a 3-lead ECG for remote display on the Caretaker® Tablet App, Secure Web Portal or other wireless devices. The Caretaker CNIBP technology delivers ICU Quality continuous measurements without intrusive catheters or cumbersome wires, giving clinicians the ability to recognize developing cardiopulmonary trends earlier with more lead time for intervention while providing a much more comprehensive view of a patient’s hemodynamic status. Has Your Caretaker®4 monitor this possibility?